All tuned up and ready for the holidays! Move into your dream home in time to enjoy the season. Here you have all the great original features with vintage âtrueâ oak hardwood floors and a cozy fireplace in the living roomfor those chilly evenings. The kitchen is bright and sunny kitchen with lots of counter space. The yard, fully fenced, is ready for outdoor entertainment. There is a lemon and orange tree ready to be enjoyed. The side yard is roomy with an entrance into the attached garage. More recent improvements are the expanded and upgraded spaces, large bedrooms, and a big, sunny family room with wood burning, pot belly stove. 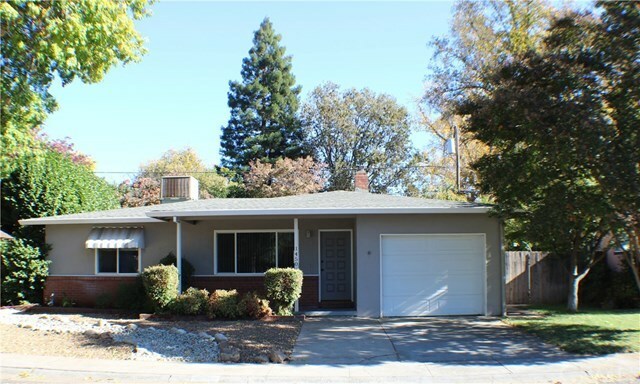 Mark your dot on the spot: a quiet cul-de-sac with a central Chico location near shopping, downtown with easy access to everywhere.